At 11.40 pm on April 14 1912, the largest steamer in the world, Titanic, part of the White Star Line, hit an iceberg and sank with the loss of 1502 lives. Some said she was travelling too fast, that the lookout was to blame, that there were not enough lifeboats. That night Robert Hichens from Newlyn took the wheel at about 10pm, the same time that another Cornishman Jewell (from Bude) left the crow’s nest. Jewl also survived the sinking and was the first witness at the subsequent enquiry. ‘N 71 West’ said the officer and ‘N 71 West’ repeated Hichens. Robert Hichens was born in St Peter's Square, Newlyn, Cornwall on 16 September 1882. He was the son of a fisherman, Philip Hichens and Rebecca Hichens (née Wood) who was originally of Whitby, North Yorkshire. Robert was the eldest of the family, and his parents must have been very proud when he got his masters ticket. He was only 30 when he became one of 6 quartermasters who signed-on to the Titanic on April 6, 1912. Eight days later, Hichens was at the ship's wheel when an iceberg was spotted by the lookout. The order 'hard a-starboard' came too late; the Titanic hit the iceberg and began to sink. Hichens was put in charge of Lifeboat 6. The lifeboat (capacity 65) left the ship at about 12.55 with 32 ladies and one other sailor. It was about 400 yards from the Titanic when she went down. From that point, there are various stories about what happened in the lifeboat. Some of the passengers claimed that Hichens could have picked up drowning passengers but refused. He claimed that to go back to the sinking ship was too dangerous ‘because the suction of the ship would draw the boat, with all its occupants, under water’. There was a Senate Hearing on April 24 1912, after which Hichens returned to England for a British Enquiry held on 7 May 7 1912 where Hichens had 492 questions put to him. Hichens was not held to account for any misconduct. 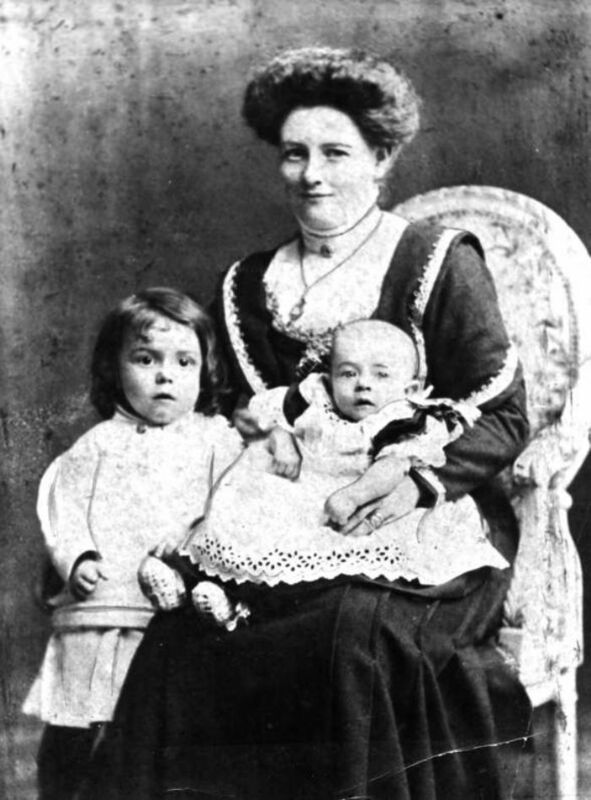 Another Newlyner to survive the Titanic disaster was the 24-year old Mrs Emily Richards, travelling with her mother, brother, sister and her two young sons, Willie aged 3 and 10-month old George. Her husband was in Ohio working for Goodyear. She tells of her journey from Newlyn to Penzance station in a wagonette and on to board the ship at Southampton. She was in bed when the disaster struck and had a coat over her nightdress when she and her mother and two children were put in lifeboat number 13. Her lifeboat was overcrowded and the crew had to keep off swimmers who attempted to come on board. But they succeeded in reaching the rescue ship Carpathia and in due course she was reunited with her husband. Collection of newspaper reports dated 1912 (Newlyn Archive). Tape and Transcript of an interview with the 85-year-old Mrs Richards by Douglas Williams, 1972 (Newlyn Archive).